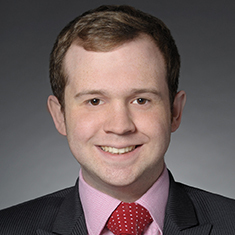 Ryan Gibbons is an associate in the Real Estate practice. Ryan has experience advising large financial institutions, developers and private equity funds in a variety of transactions, such as mortgage and construction financing, purchase and sale transactions involving real estate and equity interests, joint venture formation and asset management in retail, office, multifamily, and residential and commercial condominium real estate asset classes. While in law school, Ryan won the Duke University School of Law Transactional Law Competition and served as a board member of the Business Law Society.